We are so excited to share our great news, as things have got off to a brilliant start for us this year at AFB. 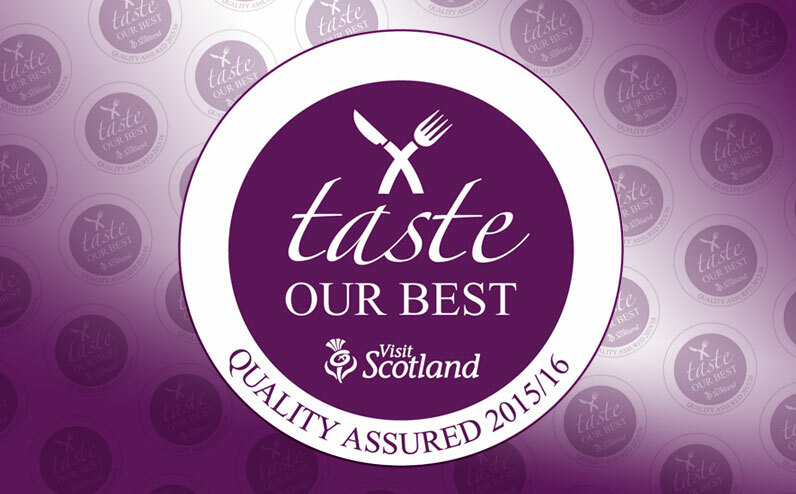 We are delighted to announce that Anstruther Fish Bar has once again achieved VisitScotland Taste Our Best accreditation, which recognises businesses that provide and promote quality Scottish food and drink. Our menu and provenance statement highlight all the Scottish produce that we endeavour to use as part of our AFB dining experience. For example, in addition to our whole selection of Scottish seafood, we use only the freshest, prime-quality Scottish haddock in every traditional fish supper. Locally caught and landed lobster and crab are becoming more popular than ever during the summer season, and even our chips are Scottish – made from potatoes supplied by our local potato farmer. We are proud to have a policy which demonstrates our dedication to sourcing and using Scottish produce. By sourcing our food locally we are able to offer you the freshest, tastiest ingredients that make up our award-winning dishes. As part of our commitment to using Scottish produce we have an annual VisitScotland assessment for the Taste Our Best accreditation to ensure that we stay on top of our game and have a menu that reflects our sourcing policy. The feedback we received from the VisitScotland Advisors report said: “The haddock was of excellent quality – very white in colour and of a moist texture with superb flavour. “The batter was golden, light and crisp which complemented the fish perfectly." Our frying team were also pretty pleased to hear that their “culinary skills were excellent”! Check out the Food section here on our website and see the Scottish ingredients that go into our dishes at Anstruther Fish Bar. We would love to tell you more about the suppliers we use that guarantee the freshest, local produce. If there is a Scottish product or dish that you would love to see on our menu, please feel free to drop us a line or two and we’ll see what we can do. Or if you have an interesting story about your visit, please share. We’d love to hear from you!